October | 2015 | Marbles In My Pocket ~ The Official Blog of Charles L. Mashburn ~ Poems, Short Stories, and random thoughts from the author of "Be Still... and know that I am God"
I Coulda Had A Rice Cake! The amazing thing is, here’s the list I could’ve chosen from: Homemade yellow cake with fudge icing, homemade cinnamon/apple/raisin/walnut bread, homemade almond joy cookies, red velvet cake, and white chocolate/raspberry cake. Hey! It’s Sherry’s birthday; I brought the cookies and bread. The Lone Star chapter of the TMCA provided the rest. I just wanted something sweet with my coffee. As we go through this life, people come and go. Some stay for but a moment, and others stay for varying lengths of time. Some, though their time in our life be brief, leave a lasting impression on our hearts and lives. With the advent of the Internet and social media, the phenomenon has taken on a whole new dimension. People touch our lives, and we touch their lives, when in many cases we will never actually see or touch them. Kathryn Daugherty—a novelist—is one such person. We’ve never met, but last September she asked my permission to include my poem, Pennies From Heaven, in her novel, A Case of Hearts. Of course, I said yes, as I was thrilled someone would want to include one of my poems in their book. 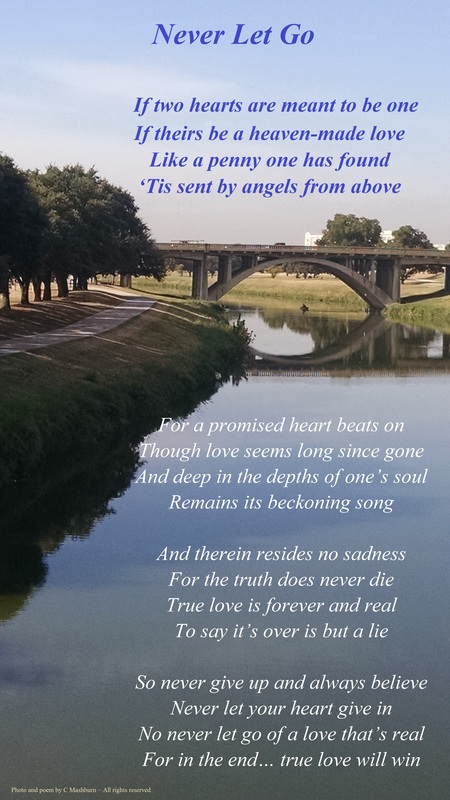 This past summer, Kathryn contacted me again; she was preparing to publish a second novel, She Promised Her Heart, and wanted to know if I could write a poem to put in the book! How cool is that? Well, again, I was thrilled, and penned what I think is a pretty good poem that compliments the story she tells in her new novel. I hope you like the poem, and I hope you’ll buy a copy of She Promised Her Heart; I think it’s going to be best seller! Our world moves at a rapid pace, then… sometimes slows to an agonizing crawl. 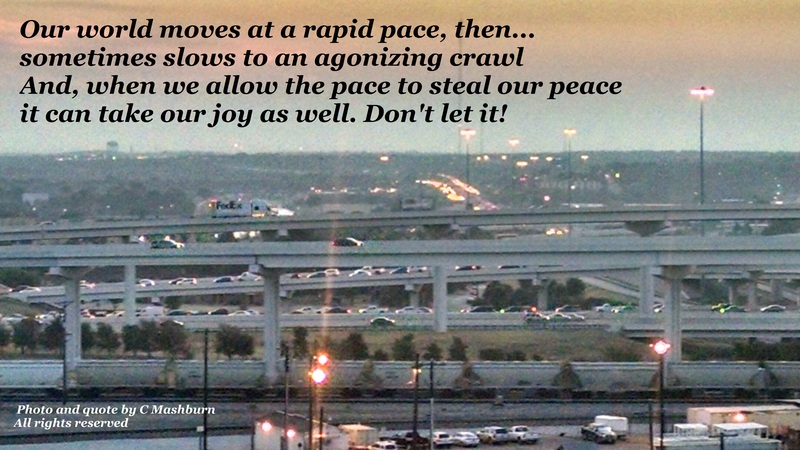 And when we allow the pace to steal our peace, it can take our joy, as well. Don’t let it! For me, the best way to have God’s peace and joy is to start my day with Him, by reading my daily devotions and God’s word. That allows me to go into the day with good things in my mind and heart, and when the world grabs at me and attempts to drag me into the fray, I can think back on the encouraging words I started my day with, and God’s joy remains in my heart. As we go about our lives in this world of chaos and strife, we cannot avoid all its pitfalls and trials. But, we can have peace. Jesus came so we might have eternal life with Him and the Father, but He also came so that in Him we may have peace. We have to put our trust in Him, knowing when the storms pass, the Son will shine. 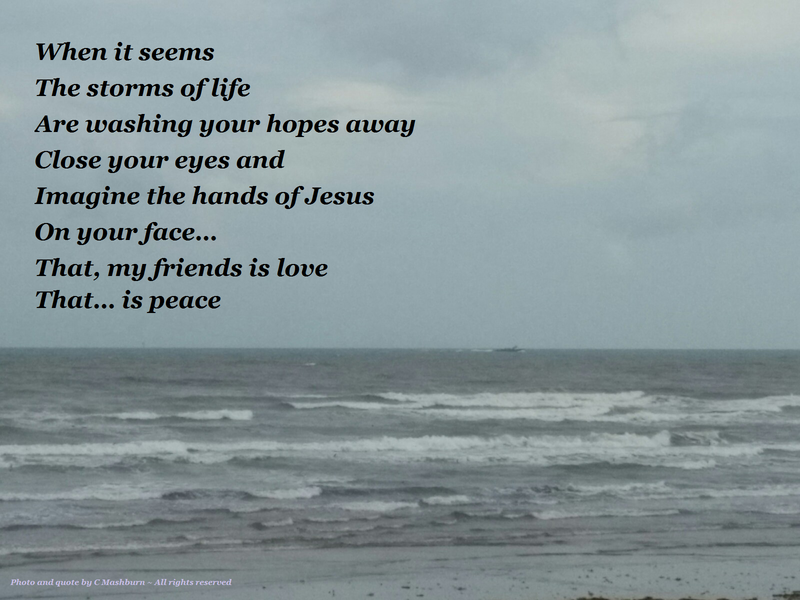 So, when you feel like the storms of life are washing your hopes away, close your eyes and think of the warmth that is the love of Jesus, and feel His hands upon your face. What would this world be like if God wasn’t in it? Well, think on this: If God were not in the world, love would not be in the world. Yes, there is evil and greed, murder and mayhem, but there is also love. God is here. And He is in control. I know, especially when bad things happen, we sometimes wonder how God can be in control. But it is at those times we must turn away from the bad, and focus on the good—God and His love for us. 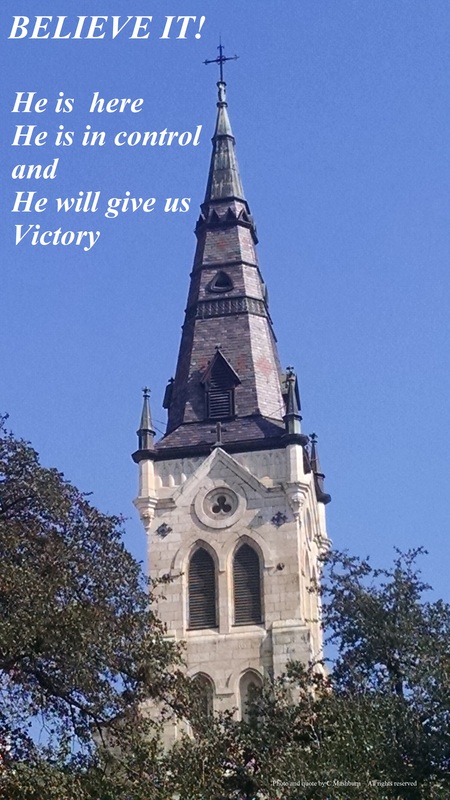 I believe we can go boldly into each day without fear, knowing our God goes into the day with us to fight against all that will come against us, and… He will give us victory. I used to wonder how a person could pray without ceasing then I realized prayer is not always about asking for something, and it should actually more often be about praising God and thanking Him. Praise and thanksgiving are prayer, and that’s how we can pray without ceasing! God is not complicated. Keep it simple; focus on the good stuff, constantly thanking and praising Him for His love and faithfulness. He not only hears the prayers that come out of our mouths; He hears our hearts.